The A-level French specification builds on the knowledge, understanding and skills gained at GCSE. It constitutes an integrated study with a focus on language, culture and society. It fosters a range of transferable skills including communication, critical thinking, research skills and creativity, which are valuable to the individual and society. Students will focus on how French-speaking society has been shaped, socially and culturally, and how it continues to change. In the first year, aspects of the social context are studied, together with aspects of the artistic life of French-speaking countries. In the second year further aspects of the social background are covered, this time focusing on issues such as life for those on the margins of French-speaking society as well as looking at the positive influences that diversity brings. Students also study aspects of the political landscape in a French-speaking country, looking at immigration from the political perspective and at the way in which political power is expressed through action such as strikes and demonstrations. They will look at teenagers and how the extent to which they are politically engaged looks towards the future of political life in French-speaking society. Students will also study both a film and a novel which, feedback from students tells us, are particularly interesting aspects of the course. There is a bigger focus on grammar at A Level than at GCSE and this encourages students to communicate with greater independence and accuracy as well as facilitating a general understanding of how languages work, including English. French is spoken in over 40 countries worldwide and is one of the two official languages of the European Union. Young people with language qualifications will also become increasingly desirable in the British workforce in a post-Brexit Europe. An A Level qualification in French can lead to excellent career opportunities and undergraduate degrees in many disciplines. French has been designated a ‘facilitating subject’ by the Russell Group, which means it opens doors to a wide range of higher education courses, even if it is not studied directly at university. 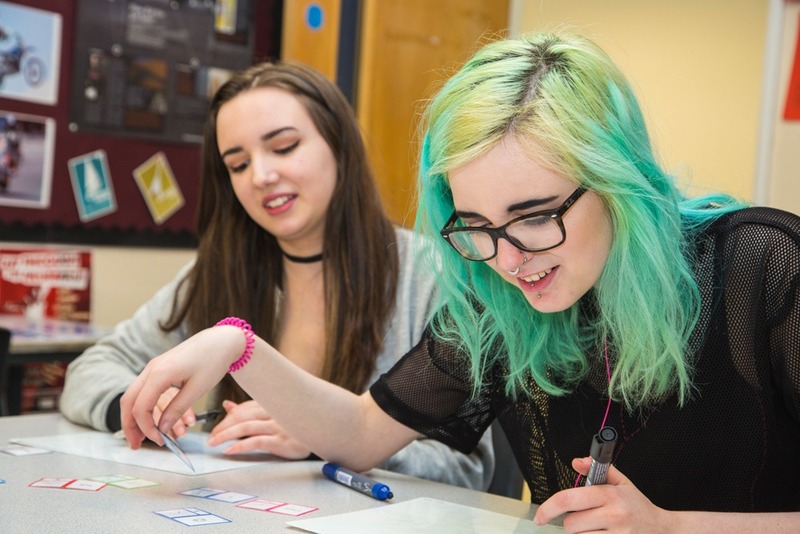 Studying languages at A Level also cultivates a range of transferable skills including communication, critical thinking, research skills and creativity, which are invaluable to students wishing to go on to higher education or employment. Students are assessed in listening, reading and translation (50%), writing (20%) and speaking (30%). All examinations will take place at the end of Year 13. 5 GCSEs at grade 5 or above. Students must have achieved grade 5 or above in maths and English. Students must have studied French at GCSE and achieved at least a grade 5.